On Sunday, August 28, Curtis Gruenler, Ph.D., Professor of English at Hope College, delivered the opening convocation address to the incoming class of 2020. You can read the text of the address here. You can watch the address here. Recently I wrote about a thought-provoking video of a 2016 talk by Sir Ken Robinson on education and human flourishing. You can find that post here. As I watched that video, I created a sketchnote. I wanted to share this example of my visual note taking here. 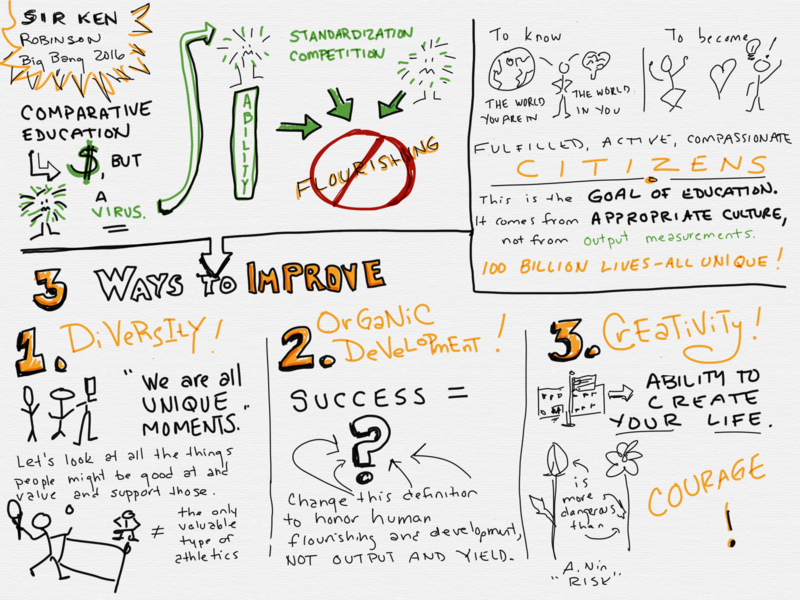 E. Trembley Sketchnotes of Sir Ken Robinson Keynote, Big Bang 2016 Video excerpts. The sketchnote isn’t meant to substitute for watching the video. But it does share the big ideas from the talk which I found most compelling. By creating this verbal/visual set of notes, I had to listen for the big ideas, organize them, and produce something that made sense to me and potentially to others as well. I believe that note taking in this way helps me remember things more clearly. I hope I’ll be able to use what I found most compelling in this video in conversations about pedagogy this year. Sir Ken Robinson has a great deal to say about reforming education to meet the needs of today’s students and the society they do–and will–live in. Many videos of his talks exist on YouTube. I particularly like this recent one–it is excerpted from a keynote talk given at an event called Big Bang 2016. I recommend it to everyone thinking about teaching, especially if you are considering redesigning courses to include more online experiences. Robinson’s ideas for improving education are ones which I think can help each of us do better work designing what happens in our classes (as well as in our departments and our divisions and our schools). In particular, I think Robinson’s notion of education’s necessary focus on two worlds is valuable for online pedagogy. He says that education must help people become aware of and knowledgable about 1. the world which they are in and 2. the world that is in them. Online education, which has the unique ability to use the internet to connect students globally, can prove especially valuable to helping students understand the world they are in. 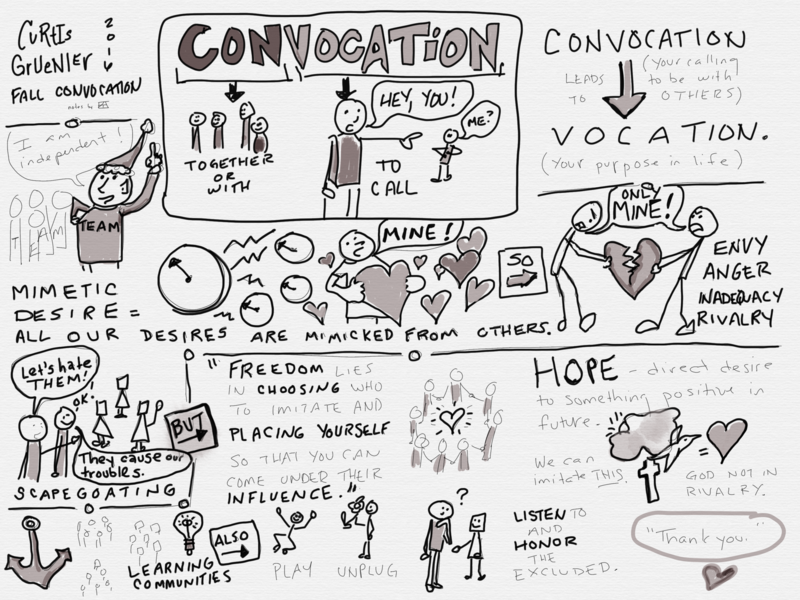 You can see a sketchnote of this talk in this post. What do you think of Robinson’s ideas? Do any of them seem like good ideas to you? If so, what can you do today to make them come to life in your classroom or department or institution? Open educational resources, or OER, abound! For today’s example, have a look at MIT Open Courseware. a free and open publication of material from thousands of MIT courses, covering the entire MIT curriculum. That’s every MIT department and degree program, and ranging from the introductory to the most advanced graduate level. Each OCW course includes a syllabus, some instructional material (such as lecture notes or a reading list), and some learning activities (such as assignments or exams). Many courses also have complete video lectures, free online textbooks, and faculty teaching insights. While some OCW content is custom-created for online use, most of it comes straight from the MIT classroom. along with courses on string theory, math data sets, folding algorithms, biomechanics and the like. So next time you are looking for inspiration for your teaching, check out one of the many, terrific OER websites like MIT Open Courseware and see what you can find! Have you discovered any wonderful materials from MIT or other OER sites? Please share your tips and tricks in the comments! Check out this terrific infographic about how to humanize your online class. One of the greatest challenges to teaching online is understanding the various ways in which the instructor’s roles must necessarily change when the environment changes. I like to say that teaching a class in the traditional classroom and teaching the same class online (or in a hybrid or flipped environment) is a little like encountering a story by reading a book and encountering that same story by watching a movie. Everything changes when you change the delivery medium. So, when you teach online, you need to think about many things you’ve never thought about before. Stop thinking about things you have thought about. And think about many of the same things in different ways. One of those things is discussion. Often, in our traditional classrooms, we try to remain silent during discussions. This helps students assume responsibility for the conversations, for developing ideas in depth, for working as a community to explore topics. If we start to talk, we run the risk of shutting them down, as they politely defer to us as “experts,” perhaps even launching into note-taking mode, instead of discussion mode. But in online discussions, that silence doesn’t work as well. Why? Because we aren’t there in the room giving untold numbers of non-verbal cues. It makes perfect sense when you think about it, but many of us don’t think about it–at least until our online discussion start to fall flat and we begin to talk to students about why. In online discussions, students need us to participate to show that we are there, that we are interested, that they are on the right track. We don’t need lengthy comments… just the verbal equivalent of a smile or nod or other bit of encouragement and motivation. You can read more in this Faculty Focus essay about one professor’s experience. Have you had success running online discussions? 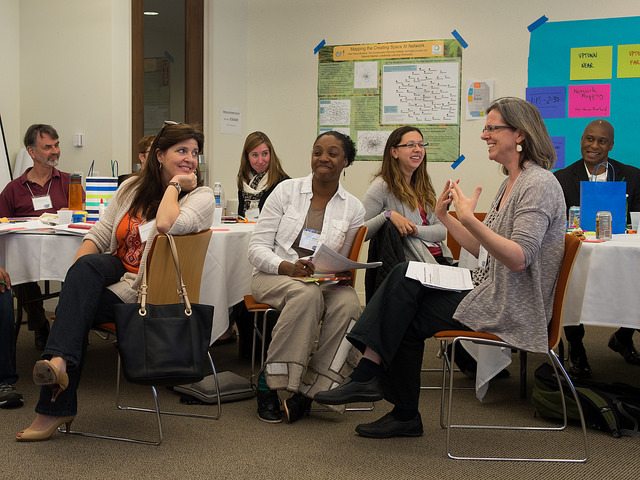 What do you do differently from your traditional classroom discussions? What remains the same? Enjoy this short video from PBS Newshour to see how it works in one Detroit area high school. What aspects of this example of the flipped classroom could work in your teaching? Posted on August 3, 2016 Categories EdTech, EducationTags flipped classroomLeave a comment on What Does a Flipped Classroom Look Like?